"The Sharpest Deals in Town!" The spirit of adventure is within you, and you know it. You feel the frequent urge to go out and discover the world, find the hidden gems most people miss or overlook, and even perhaps uncover something completely new. You're not one to stay cooped up indoors-the world is your playground. As for a vehicle that fits that approach to life? Go with the leading SUV for adventurers around the globe-the all-new 2017 Jeep Wrangler! With a strong 75-year tradition of tough, off-roading 4x4's, Jeep always delivers on the promise of taking the adventure in your own hands, on your own terms. Armed with the acclaimed 3.6L Pentastar™ VVT V6 engine, the Wrangler delivers feral amounts of strength with Best-in-Class 285 horsepower, and a massive 260 lb-ft of torque, optimized by upper-intake airflow and added equal-length downpipes, coupled with a high-mounted, rear-facing alternator specifically designed for water fording-with a Wrangler, no obstacle is too tough to overcome, and nothing stands in your way. In addition, to reduce the Wrangler's roar, an acoustic engine cover helps reduce noise to, among other things, prevent scaring away wildlife you might want to catch a closer glimpse of. Best of all, the Wrangler really becomes your own as you customize it to your own preferences. Choices abound, ranging from soft-top or hardtop roof with the option to have both with the Dual Top option, to full-framed metal or half-metal removable doors. Further mould it for your adventuring needs with a fold-down windshield so you can enjoy the open air to its fullest! With these options and more, you're building a Wrangler that's truly your own, down to the most rugged details. Discover a modern dealership with fantastic inventory, amazing service, and the commitment to our customers that aims to make us your go-to for all your future automotive needs! Come down and meet the team at Milton Chrysler located at 81 Ontario St N, in Milton, ON. We can be reached at (905) 878-8877 if you have any questions! Enjoy Honest and Reliable Service! We believe in living up to our reputation for being #1 in Customer Satisfaction! "We are home to the Best Price Guarantee!" We believe in working hard to earn your business every time you come to us! 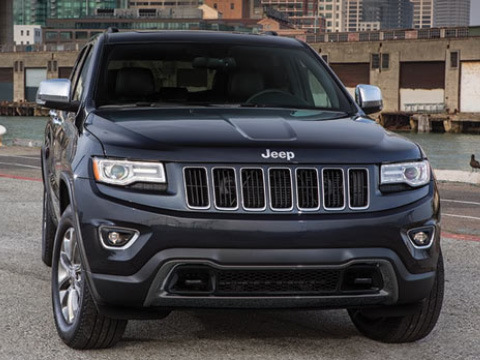 The Jeep Cherokee comes with two choices of powerful engines, perfectly suited to what you need out of your SUV. The 2.4L Tigershark® MultiAir® I-4 engine packs an impressive 184 horsepower and 171 lb-ft of torque, with a maximum towing capacity of 907kg (2000lb)-all while delivering a stunning fuel economy as efficient as 7.8 L/100km highway. For extra towing muscle, the 3.2L Pentastar™ VVT V6 engine with ESS ramps it up with 271 horsepower and 239 lb-ft of torque, still keeping fuel efficiency as remarkable as 8.3 L/100km highway-while hauling a massive towing capacity of 2,041kg (4,500lb)! 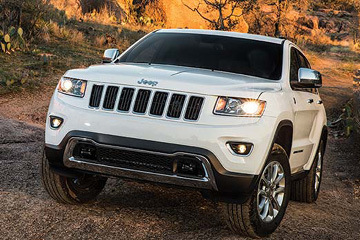 No adventure should start without checking safety first, and the Jeep Cherokee delivers on that promise. 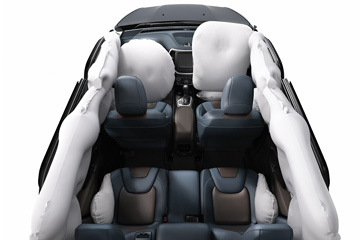 Every Jeep Cherokee comes equipped with 10 standard air bags, and much more to keep you and your passengers protected. 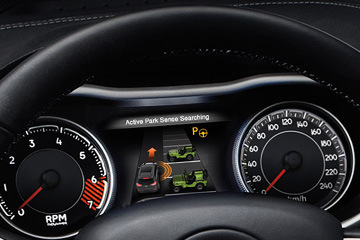 The Hill Start Assist system gives the driver enhanced control on steep inclines, while the Electronic Stability Control (ESC) ensures that provides instant aid if your vehicle goes off track. Reduce the unthinkable with Forward Collision Warning with Active Braking, which actively helps prevent frontal collisions, and Blind-Spot Monitoring which warns the driver of other vehicles within blind spots. Every 4x4 Cherokee comes armed with the Selec-Terrain® Traction Management System, which comes with 5 customized settings that are optimized to tackle the toughest of conditions while providing ultimate driving stability. 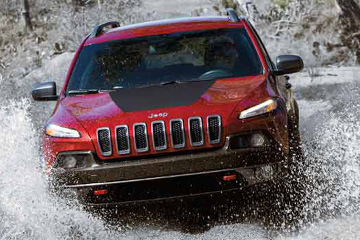 By coordinating 12 different vehicle systems, including traction control, transmission shifting, transfer case, throttle control, and Electronic Stability Control (ESC), the Jeep Cherokee is ready to face anything, simply by switching to the corresponding mode: Auto, Snow, Sport, Sand/Mud and Rock. Jeep Cherokee is no stranger to Canadian driving conditions, and Canadians know it. As the Best-Selling SUV brand in Canada, it has fostered a long-lived and growing trust in the people that have relied on the Cherokee's dependability for decades. With Best-in-Class 4x4 capacity, Best-in-Class towing, innovative safety features and industry-leading technology, the Jeep Cherokee knows no limits-the vehicle of choice for Canadian adventurers and families alike. At Milton Chrysler, you can expect a modern dealership experience that aims to make your time with us every bit as practical and effective as you deserve it to be. Our team is here to offer you advice and guidance through our inventory and our departments. We pride ourselves in being the home to the Best Price Guarantee, on top of which ensuring you receive a quality experience from the moment you reach out to us. Located at 81 Ontario Street North in Milton, our store has been a staple of the community, working with drivers and their families to provide results that give you every reason you might need to work with us again and again in the future. We are open on Monday through Thursday from 9:00 AM to 8:30 PM, on Friday from 9:00 AM to 6:00 PM, and on Saturday from 9:00 AM to 5:00 PM. Work with us and enjoy all the benefits a modern dealership can and should offer - and make Milton Chrysler your store for all your automotive needs. We're looking forward to making your time with us fun, enjoyable, and effective! Diana couldn`t have made my auto experience any better! Her and Krista were readily available to answer any questions I had and they were more than willing to accommodate my schedule. They made my auto buying experience more than convenient by bringing the car out to me to look at and drive. And when we made a deal for the car it was delivered to my home where all the paperwork was signed. I appreciate all their help and what they did for me and I would highly recommend Diana and Krista to anyone who is purchasing a vehicle. I purchased a vehicle from Krista and Diane in August. These two ladies are absolutely fantastic!!!! What a pleasant experience, and great customer service. The old-fashioned kind that is hard to find. They really made you feel like you matter and I would recommend this dealership to anyone! I have been dealing with Rob Naidoo and his team for many years. He has been instrumental in my decision to refer my entire family and friends to Milton Chrysler. Rob, Alex, Edwin, Tony and the entire staff have been absolutely amazing and will continue to purchase all my vehicles without any concerns whatsoever. If you want an honest approach, excellent service and continued confidence that you will be taken care of, this is the only place to go buy your next vehicle. Thank you, Rob.